SHELTON -- Kord Ball dug out his wrinkled Army uniform from a pile of clothes inside his Shelton trailer. And for the first time in months, the disheveled staff sergeant mustered up the energy to shave and get a haircut. That September 2018 morning was one of Ball's last days in the U.S. Army, after a decorated 10-year military career. But the 27-year-old didn't leave the service on good terms. Army leaders at Joint Base Lewis McChord kicked Ball out of the service for misconduct because he failed a drug test for marijuana. He received an other-than-honorable discharge, which strips away his right to access veteran benefits, including long-term health care from the Department of Veteran Affairs. But records show the behavior that got Ball in trouble was directly related to his diagnosed anxiety and post-traumatic stress disorder -- medical conditions brought on by his military service. And now, the veteran doesn't have a right to access the long-term medical benefits he needs to heal. 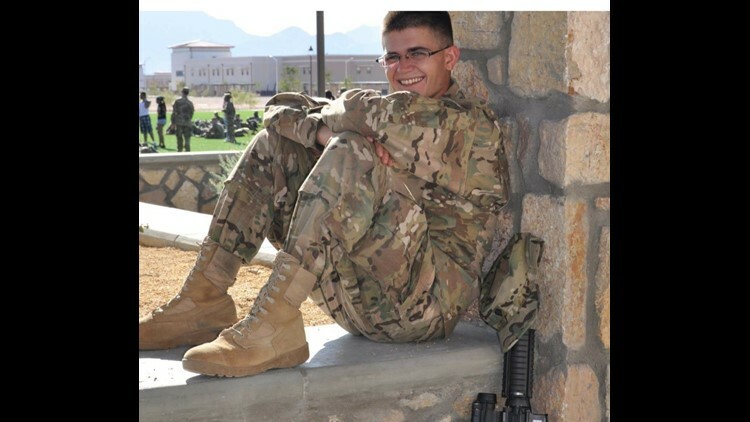 "They viewed him as a bad soldier instead of a sick soldier," said Heather Straub, a Tacoma-based attorney who represented Ball in his unsuccessful attempt to fight the Army's decision. The Army has processes in place to prevent soldiers who struggle with mental health conditions from getting kicked out for behavior they cannot control. But a five-month KING 5 investigation, which included a review of more than a thousand pages of military records, found the safeguards in place to protect certain soldiers from a negative discharge weren't effective in Ball's case. The Army commanders who had the power to impact the soldier's fate didn't follow the advice of the military medical providers who knew Ball's needs the best. "The Army broke him," Straub said. "And even when they had a chance to fix it, they didn't." Long before Ball's life fell apart, his career in the Army flourished, according to his military personnel history. Ball's supervisors recognized him for his success, awarding him Army achievement medals and medals for years of good conduct. In performance evaluations, his bosses consistently recommended him for promotions. They said he was "among the best." In 2011, Ball deployed to Afghanistan as an aviation's specialist. He said the things he witnessed there -- including a burning Humvee carrying soldiers and a mass casualty event -- forever changed him. "You could see him get all worked up about stuff a lot more," said Sgt. Charles OHara, a friend who deployed with Ball to Afghanistan, who says he saw the same mass-casualty event. "He seemed like he was kind of guilty -- like ashamed. He went crazy, and he didn't know how to deal with it." In the years that followed his return from war, Ball suffered from panic attacks and flashbacks. He wrestled with drug and alcohol addiction, and he tried to kill himself. By December 2016, it was clear to both Army doctors and Ball's commanders that he needed help. They launched a medical evaluation board, where a group of people evaluate soldiers' medical history and current conditions to determine if their physical and mental injuries will interfere with their ability to serve the country. In Ball's case, the board determined that his anxiety and PTSD made him unfit for duty. They passed his case on to the next phase, which put him on track to get out of the military with a medical discharge. And as he waited to leave the Army, commanders moved the soldier to the Warrior Transition Battalion. It's a special unit at JBLM that allows wounded service members to focus on taking care of themselves instead of training for war. But that unit charged with helping him turned out to be the place that made his problems worse. Ball sought help from Madigan doctors hundreds of times while he waited for his medical discharge to process. He checked in and out of the inpatient psychiatric ward, and he attempted suicide several more times. But as his mental health deteriorated, his discipline records got worse. His captain repeatedly wrote him up for missing doctors appointments and mandatory morning check-ins on base. He got in trouble for disappearing for seven days, which the Army considers Absent Without Official Leave (AWOL). And in March 2017, Ball failed a drug test for marijuana, which is against Army's rules. "I was kind of weighing my options at the time. Did I want to smoke marijuana or kill myself? I didn't think of getting in trouble," said Ball. Dr. April Gerlock, a PTSD expert who reviewed Ball's discipline reports and medical records at KING 5's request, said the behaviors that got Ball in trouble are textbook symptoms of PTSD. "But people see it as behavior. So it's difficult to understand that this is a symptom versus just a personality disorder or a bad actor or somebody who's just trying to cause trouble," said Gerlock, a former VA provider, who who treated soldiers with PTSD for years. Despite Ball's well-documented illnesses, his captain put a halt to his medical discharge process -- stopping the path to long-term help. Instead, she decided to kick him out of the Army for misconduct because of his marijuana use. But because of the Army's own policies, Ball still had one last shot to save his future. The Army requires soldiers facing separation as a result of misconduct to undergo a thorough medical review. That includes a behavioral health screening to determine whether or not medical conditions, like PTSD and traumatic brain injury, played a role in a service member's behavior missteps. In Ball's case, the military psychologist who conducted that separation screening checked the box that confirmed his mental health condition "significantly contributed" to his marijuana use. In addition, multiple medical providers who treated him at Madigan went out of their way to warn Ball's chain of command that his medical conditions caused his behavior. They said the situation was putting the soldier at risk of suicide, and they warned that an other-than-honorable discharge status would limit his access to the VA benefits that could save his life, according to a review of the Ball's separation records. But the Army leaders who had the power to re-instate Ball's medical discharge process and reverse his captain's decision -- didn't do it. A high-ranking military surgeon, who was one of the last to review Ball's case, acknowledged this behavior was "correlated to his mental health." But he said it doesn't get him off the hook from his "responsibility as a soldier." And on September 18, JBLM's commanding general signed off to kick Ball out of the Army with an other-than-honorable discharge. Army officials at JBLM declined a request for an interview to discuss Ball's case, and they did not respond to specific written questions. Col. Lee Peters, an Army spokesman at JBLM, said in a statement that thorough medical reviews are a routine part of the separation process, and he said the merits of each case are considered and weighted individually. "We comply with all Army policies relating to Soldier separations, and are confident this process is fair, objective and deliberate to ensure our Soldier's health and well-being are always considered," he wrote. Weeks after the other-than-honorable decision came down, Ball packed up his Washington life and moved to New Hampshire to live with his wife and daughter. Since the veteran doesn't immediately qualify for long-term VA medical care, he's said he's now asking the agency to make an exception. The VA has its own process to determine whether veterans dismissed under other-than-honorable conditions can qualify for medical care. The process can take months and sometimes more than a year. Ball said he continues to struggle with his mental illnesses, and he said the prescribed medication he takes to ease his symptoms are about to run out. The veteran said he worries that his situation will only get worse without consistent access to VA doctors. "I didn't get the help I needed," he said. "I'm still not getting the help I need."